We have updated our system with new service types to check eligibility and benefits for patients such as physical therapy, skilled nursing care, lenses etc. 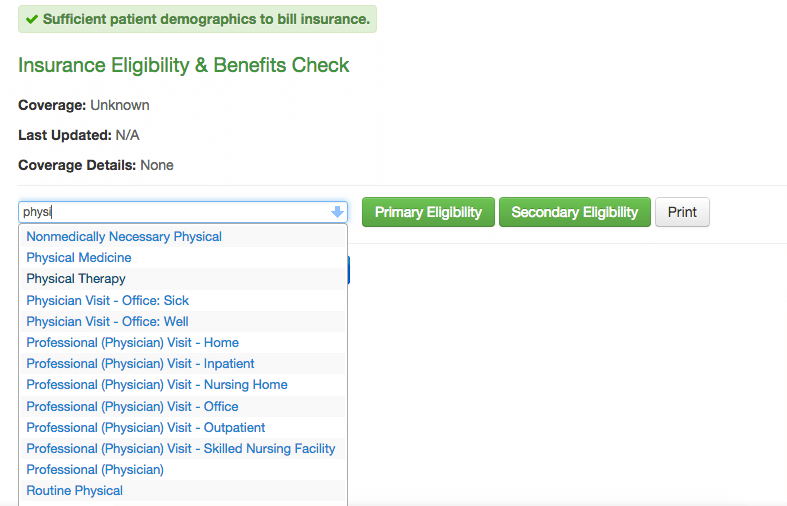 In Patient Demographics, there is a new section where you can enter the ordering provider information. This information is required to submit DMERC claims to the insurance company. You can now select which provider appointments you want to see with our new provider filter in the Live Claims Feed..
You now have an option to filter appointments by the type of appointments using previously designated appointment profiles in the Live Claims Feed. 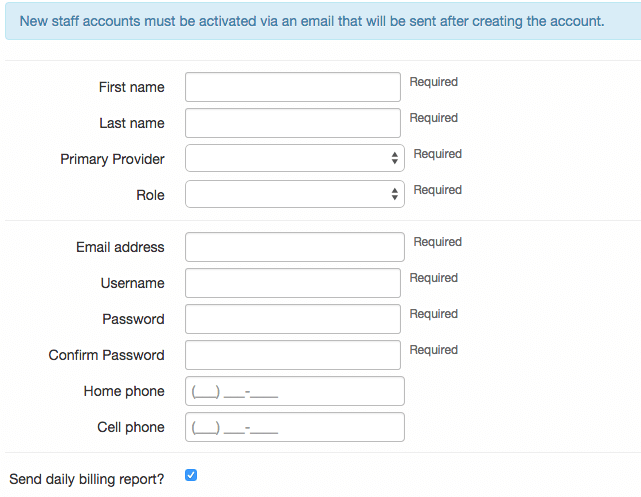 In the Live Claims Feed, there is a new section where you can enter information about the purchased provider who is responsible for billing the insurance. We have introduced a new subset in the Billing tab where you can view all your billing changes made during a specific date range. 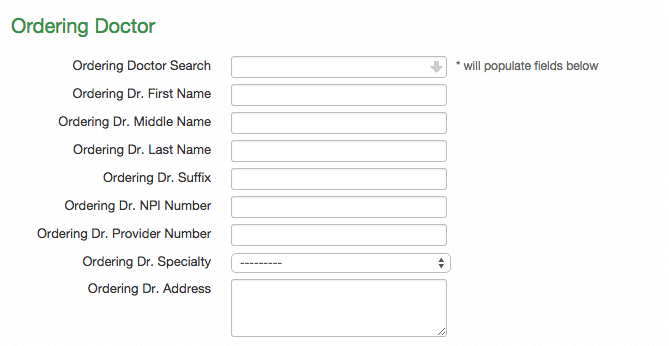 When creating a custom demographic field, you can now set allowable values which makes it easier for you enter your acceptable values. You now have an option to set a primary provider for a staff account which will help you monitor staff accounts as you move them from one provider to another.